Imagine if there were some 870 acres of undeveloped land in the middle of a growing global city like New York or San Francisco. 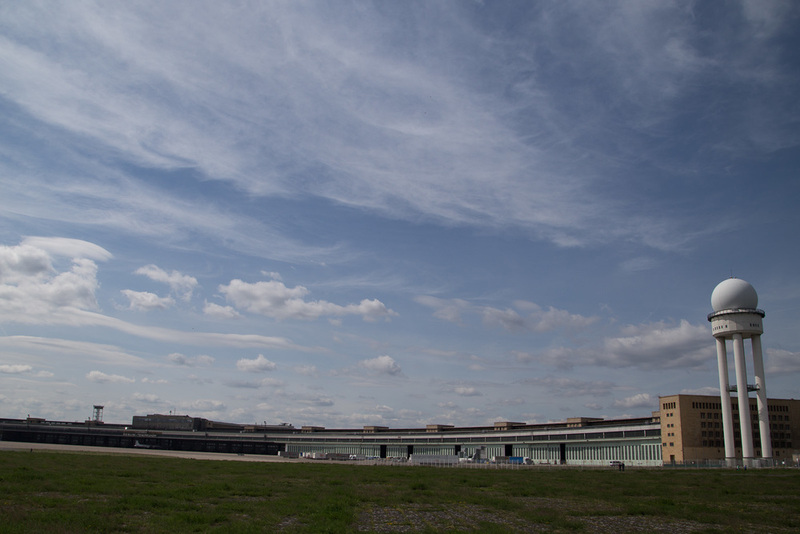 That’s Tempelhof Airport in Berlin, an amazing open space that I recently got to spend the day exploring. The old airport closed in 2008 and is now used as a park. Kitesurfers, cyclists, runners, kite flyers and so many others flock to to the giant airfield, known for its critical role in the Berlin Airlift, to escape urban life in its green expanse. There aren’t many trees at Tempelhof so the space seems incredibly open, MUCH more so than any city park I’ve ever visited (Tempelhof is bigger than Central Park). It’s really unbelievable. And now there’s a vote being put to Berliners about the airport’s future. Should it be developed in some way? Stay the same? Atlantic Cities has an in-depth article about those plans. The NYTimes has this as well. And if you ever get to Berlin, do make a point to visit it.